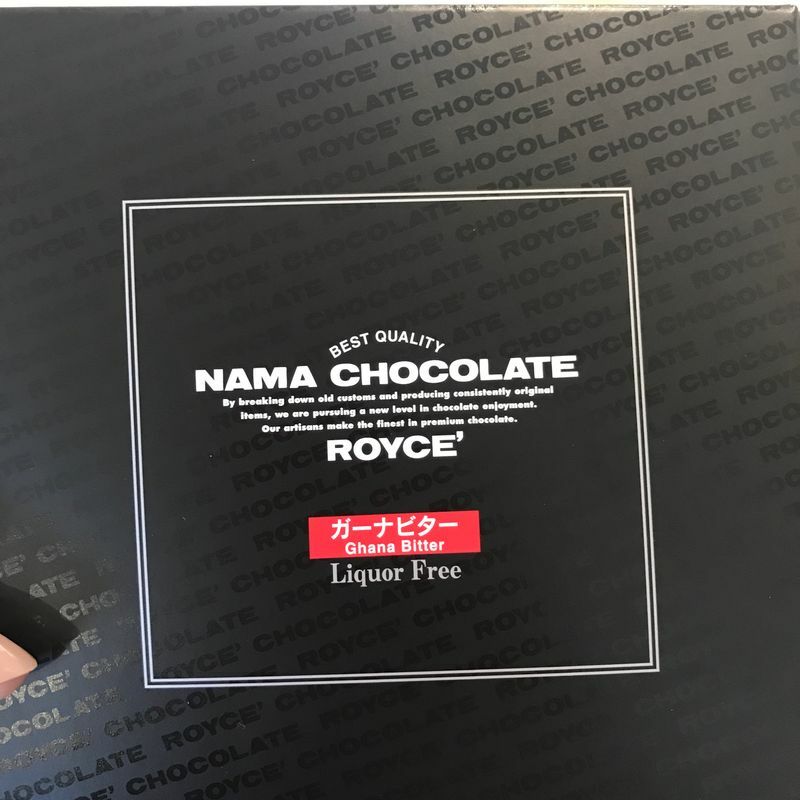 I'm going to make a bold claim here: Royce Chocolate is the best chocolate Japan has to offer. It's better than convenience store chocolates and better than small-batch craft chocolatiers. 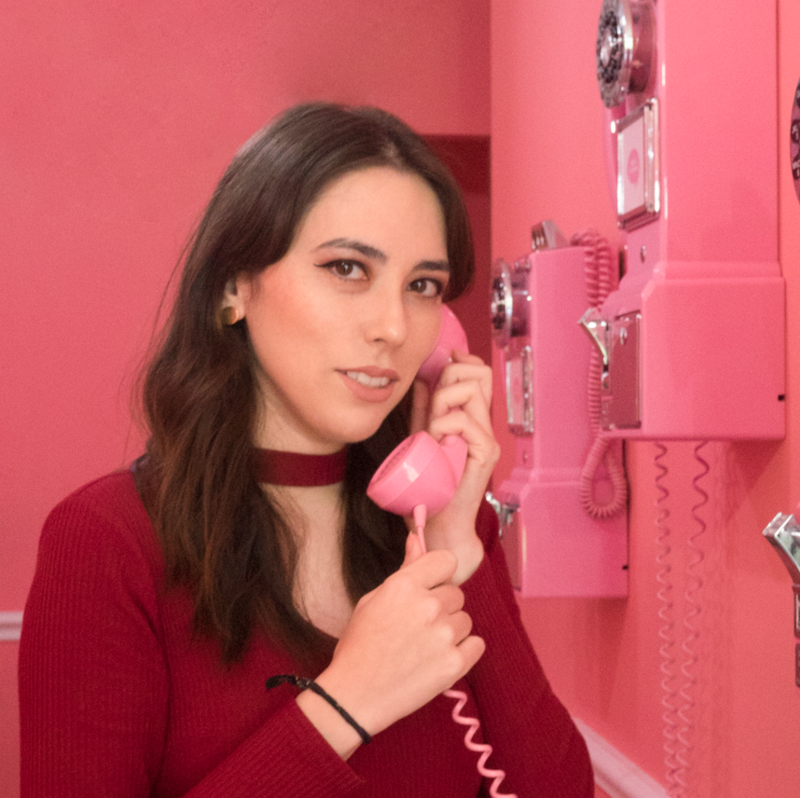 Never tried it before but are curious about my claim? 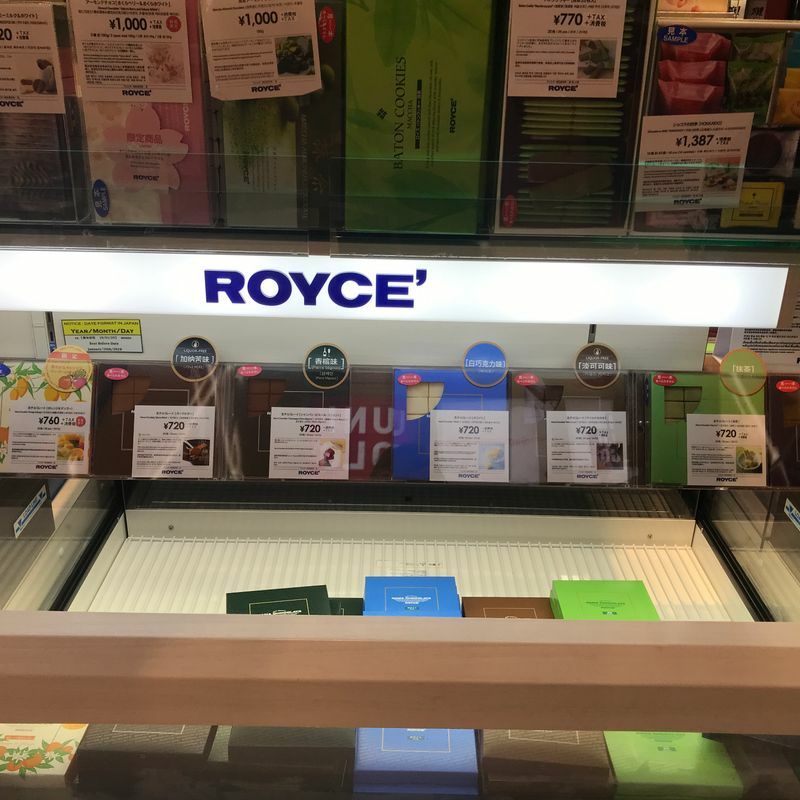 Finding somewhere that sells Royce Chocolate can be a problem. A few specialty department stores carry it in Kanto, or you can order online. But your best bet for finding it would be the airport actually! I've seen them at New Chitose, Narita, Haneda, and Kansai International Airport. You can find them both in and out of the gates. Just look for the big refrigerator with the logo on it. There, you'll find a lot of different varieties. I stuck with the classic dark chocolate, but I've heard good things about the matcha. The reason they're in this refrigerated section is because they're "nama chocolate" and therefore highly susceptible to heat. Air conditioning isn't enough... They need to be refrigerated! 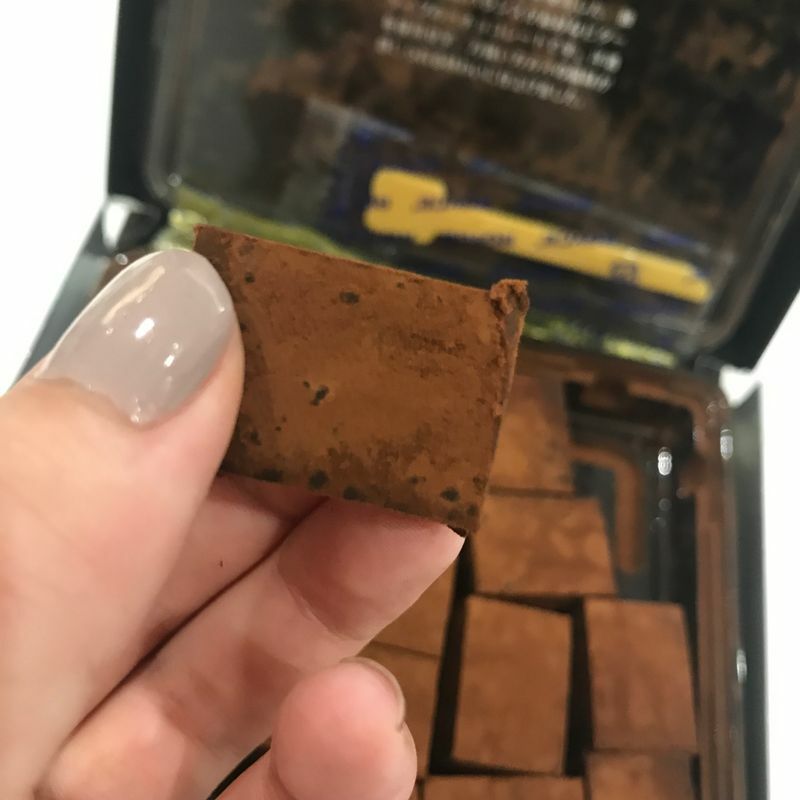 If you've ever had Melty Kiss chocolates, it's a similar concept (though these are much better). Look how fancy that is! You can see the condensation already starting to form. I opted for no ice pack, so I had to eat them fast! They come with a little fork so you don't need to use your fingers... But I couldn't wait and I wasn't sharing these, so I felt like I could use my fingers! Bit mistake... They're coated with a bitter cocoa powder, but the heat from my fingertips melted the outer layer of the chocolate almost as soon as I picked it up! 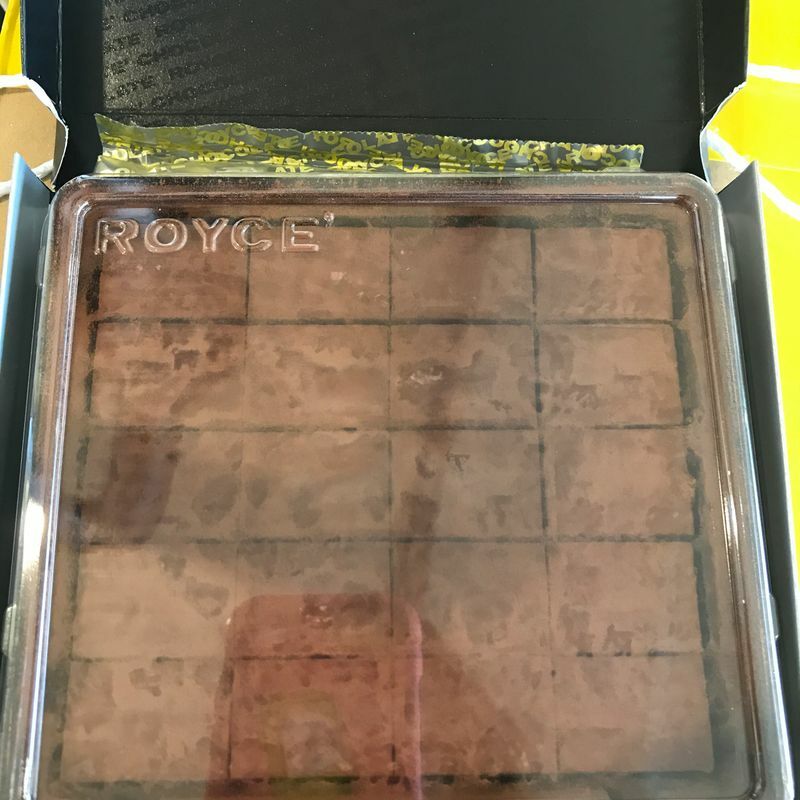 The chocolate is cut into bite sized pieces, but to be honest they were a bit big for a single bite. Because the chocolates were so rich and flavorful, I couldn't handle all the chocolate in my mouth at once! Honestly, I could only eat a few pieces before the richness got to me... The chocolate flavor defeated me.